PECS is a system of exchanging pictures to communicate. This system was developed to help people with autism and developmental disabilities who are nonverbal or have limited verbal communication. The purpose of PECS is to establish a functional picture communication system within a social context. The premise is that pointing to a picture isn’t communication unless the child engages someone’s attention. Teaching a child to verbally produce speech is NOT a goal of PECS. The philosophy of the training program is that an individual must understand the purpose for communication before engaging in actual speech production. Verbal utterances aren’t encouraged or responded to in the program; only non-verbal exchanges are rewarded. Phase I: The first phase is to spontaneously request items or activities. Identify what the child wants. Find the things that the child will “ask” for (for example, a favorite toy). This phase usually requires two teachers, which may be a parent, teacher, therapist or sibling. The first teacher shows the child something that the child really likes. The second teacher stays behind the child and waits for the child to reach for the item. The second teacher then helps the child pick up the picture of that item and hand it to the first teacher. When the first teacher has the picture, he or she immediately gives the child the item requested. Verbal confirmation is given by the first teacher (e.g. “Oh, you want the train”). The second teacher would slowly withdraw, allowing the child to work towards independently reaching for the picture and handing it to the first teacher. The teacher should not ask what the child wants or tell them which picture to choose. The goal in this phase is for the child to spontaneously initiate communication. Phase II: Once the child understands Phase I and can independently make a request, Phase II should be started. In Phase II, the child continues to request items or activities, but the child is required to move a greater distance to get to the picture or get to the first teacher. The teachers can also begin to use the picture exchange in different settings (at the store or in a different room). Finally, people other than the initial teachers can work with the child. The child also begins expanding his or her vocabulary of symbols, requesting different reinforcing objects or activities. At this time, only one picture should be offered as a choice. Phase III: The teacher asks the child to choose between several items on a board, working toward making personal choices. The teacher may begin by asking, “What do you want?” but verbalizing should be quickly phased out so the child will make choices spontaneously. If the child finds it difficult to choose between too many pictures, the number of choices can be reduced to 2 or 3 and gradually increased. 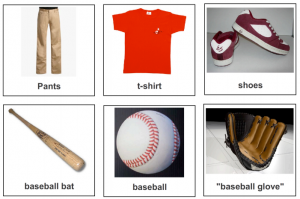 Phase IV: Once the child can quickly and easily choose pictures and make spontaneous requests for a variety of items to different people, the program begins to focus on sentence structure. The child is taught to use sentence strips to make longer requests. 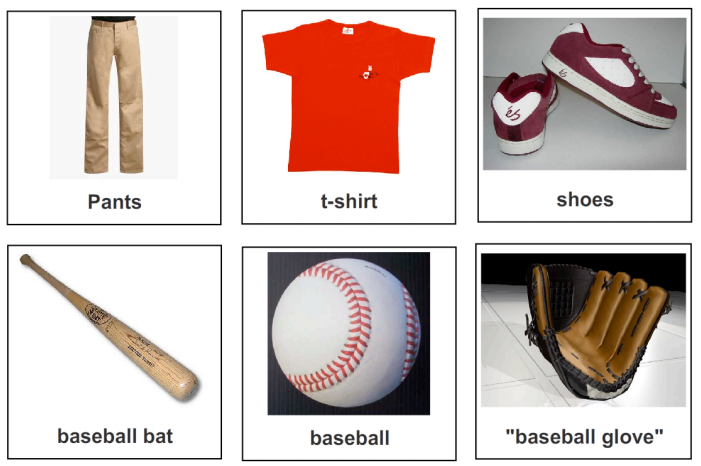 The child will start combining a picture for “I want” with a picture of the requested item or activity. The two pictures will be attached to a sentence strip and the entire strip will be exchanged with the communicative partner for the pictured item or activity. Phase V and VI: The fifth and sixth phases occur at the same time, focusing on different extensions of the child’s skill. Adjectives and other words can be added. Through the use of pictures for “I see,” “I hear,” “I feel,” “I smell,” etc. the child will be taught to comment on elements of his environment.